Decided to try doing something non-digital for a change, just pencils, pens, markers and a layout pad. I’ve been watching a lot of Gene Tierney films of late (Laura, Leave Her To Heaven, Whirlpool, The Ghost & Mrs Muir, Thunderbirds etc) and also reading her auto-bio. This was quicker to do than I’d expected, I had to leave the imperfections and mistakes in and just get on with it. 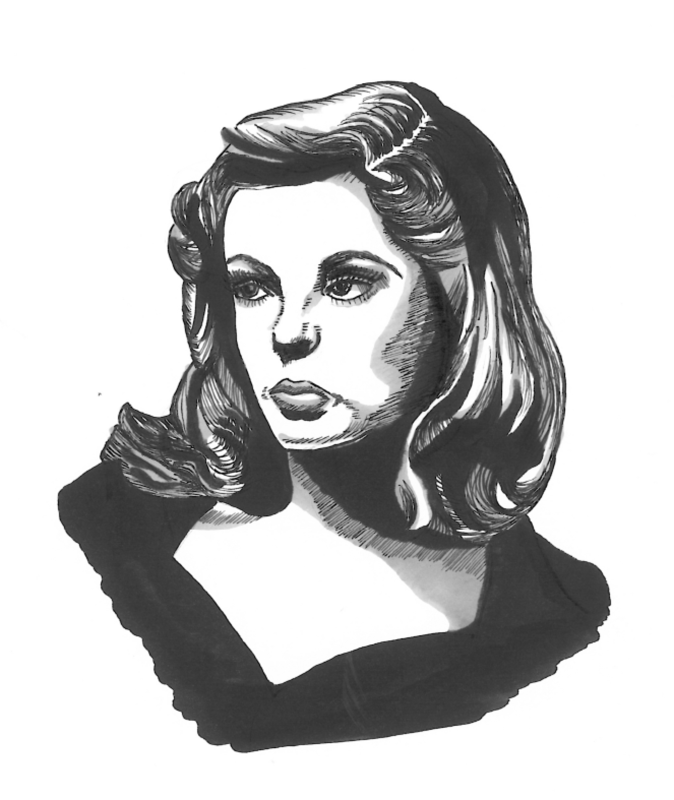 This entry was posted in Uncategorized and tagged drawing, films, gene_tierney, ink by paulmartinsmith. Bookmark the permalink. Imperfections and mistakes? Where? And, why did you “have to leave them in”? The only iffy spot I see might be the hair portion on the lower left. Shading might be subject to opinion. But, it’s decent overall. This quality of a piece would probably take me…16 hours?…to complete. I’d probably fuss over the pencil for the first 8 and sweat through the inking the next:P I struggle with confident strokes. But, I am a mean idea/sketch guy. Thanks 😉 – the imperfections I see are in some of the shading, the nose isn’t right (it looks hairy!) – overall I was very very pleased with it, the bolder marker strokes in the hair worked well, that was something I’ve been trying to get more confident with!